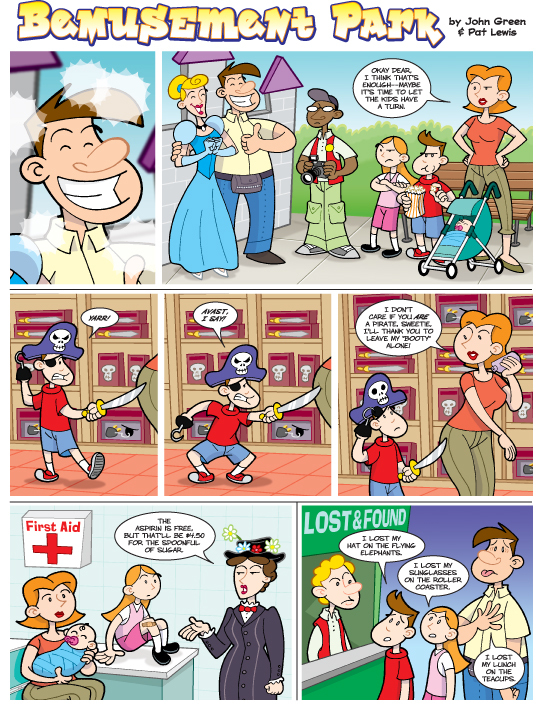 I wrote and illustrated the comic The Last Laugh, which you'll find on the last page of every issue of Disney Adventures Magazine. 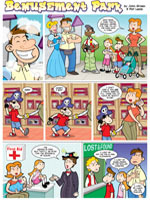 Quicken Forbidden is a comic I illustrate and co-publish with Dave Roman. 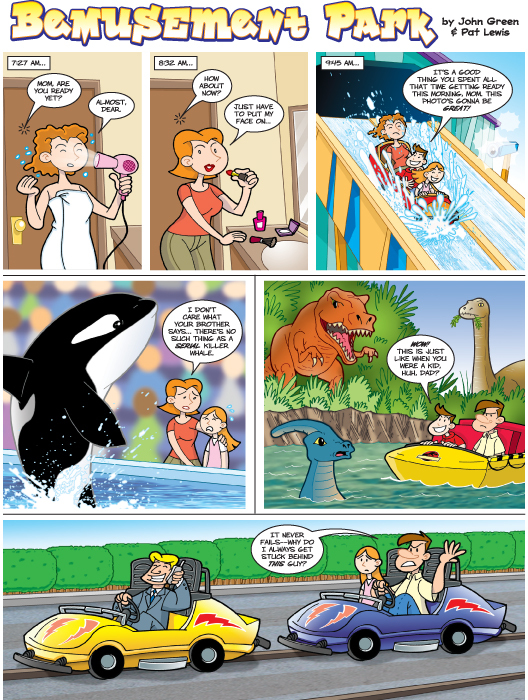 I'll add more here, but in the meantime check out THIS page. Another comic I do with Dave, this one is a bout a teen who can turn into a boat! Check it out HERE. Hatchback Studios developed the narrative and virtual world interactive for Sony PlayStation Home's Valentine's Day 2010 campaign. I did the character design and animation seen in the video below and on the website cupidonnotice.com. You can also see this and other illustration work I've done in the GAMES section. I plan on adding some miscellaneous illustrations I've done here.